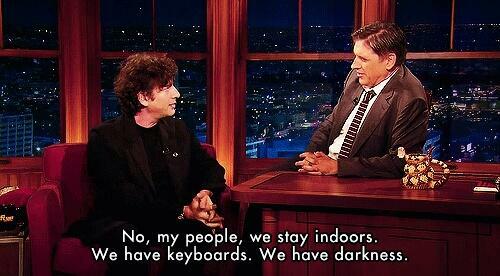 Seriously, though, many of us writers prefer to do our socializing via our keyboards — bonus points if darkness is included. And lucky us! Our writer/agent/editor friends inhabit our digital world of awesome too! Hence the need for a discussion on boundaries. While I certainly hope none of my awesome literary world friends would ever do something terrible/stupid like stalking or attacking these wonderful people in real life — this nut apparently didn’t get the message — the lines do tend to blur online. Many assume that, because we are not bothering agents and editors in real life, the internet is a safe place to bother them in digital life. This is true . . . to a point. Think about this, my friends. Why do you talk to the people you do? Why are you friends with people? Chances are, you are interested in what they have to say. Or they make you laugh. Or you love to talk about a mutual interest. Whatever the case, would you ever be friends with someone who came and sat at your table and then poked you and tried to tell you about ALL the things? Or tried to sell you something? 2 – Twitter pitch parties are awesome, but keep the twitter pitching to those hashtags. 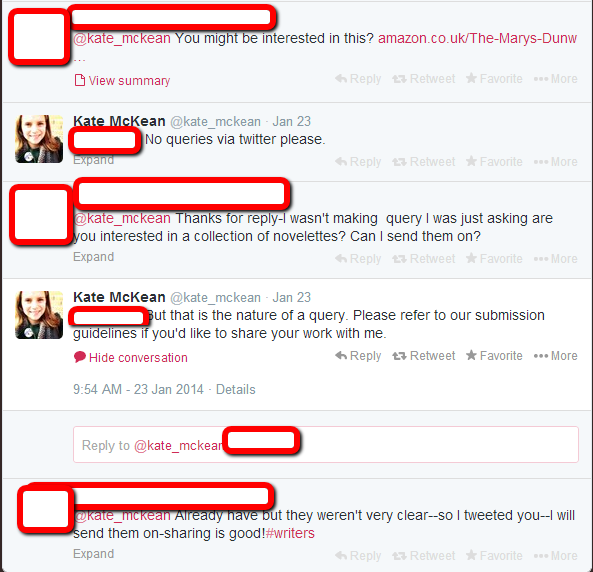 Don’t directly tweet at agents to pitch a manuscript. That’s not to say you can’t discuss ideas, but directly pitching generally only makes you look desperate. Send a personalized, professional query instead. Querying. Ur doin’ it wrong, bro. 3 – As a follow-up to that, by all means, tweet the links! Pitch your stuff! Don’t tweet anything directly to participating agents. They’ll get to your stuff, I promise. 4 – Don’t friend them on Facebook unless they invite you to. Many agents and editors try to keep their personal and professional lives separate. 6 – Don’t Google Earth their home address — assuming you somehow found that in the first place — and tell them how pretty their landscaping is. Just don’t. 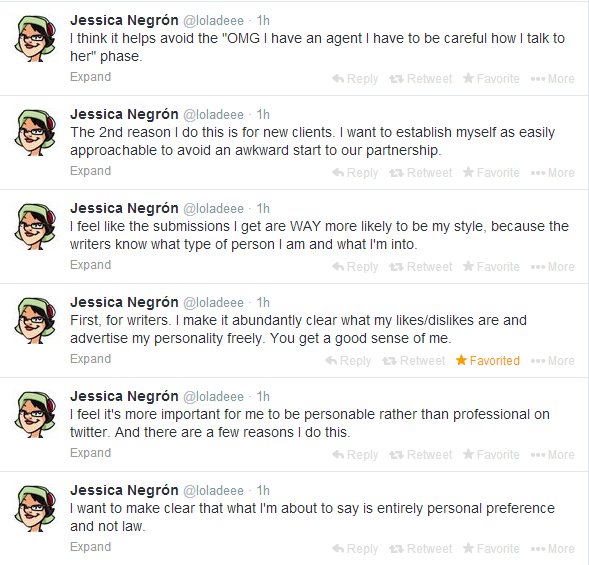 7 – Remember that, first and foremost, agents and editors are PEOPLE. They put in a ridiculous amount of hours because they love their jobs, so treat them with kindness and respect. Bitterness and entitlement have no place in this process. And for the love of burning things with fire, DO NOT publicly complain about a rejection or lack of response or say things like “Their loss! The morons!” You are only proving that it was a good idea to reject you. Note: These are just based on my personal observations and conversations. I do not claim to speak for any/every agent, editor, or other publishing professional. If any of this is inaccurate, please let me know! For additional reading, check out this Writer’s Digest article. And it’s never a bad idea to brush up on Fizzy Grrl’s “Art of Oversharing.” You’ll thank me later. Next ›New Editorial Services Page — Check it Out!